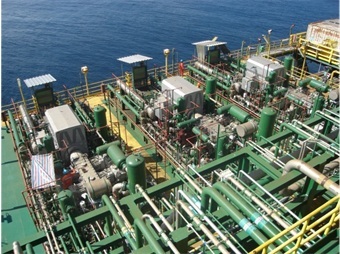 Offshore production platforms or FPSOs with reciprocating or rotating machinery can experience high vibration. High vibration may cause equipment failures, lost production, excessive maintenance costs, as well as environmental and human safety issues. The good news is that risks from structural vibration can be mitigated if addressed properly at the design stage. Minimizing structural vibration requires specialized expertise, methods and design tools combined with extensive experience – a core competency at of Wood's vibration team. Involvement at the planning stage (Front End Engineering and Design, FEED) to define analysis requirements, timing, and provide preliminary layout recommendations. Coordinate the analysis schedule and scope with the related mechanical analysis of designated pumps, compressors, engines, or other modules (eg. API 618, API 674, etc.). This ensures consistency in the dynamic forces, inertias, damping and stiffness values. Consistency and accuracy of these components are the key to a sound overall design. Create a finite element analysis (FEA) of the supporting structure. Utilize and refine existing models used for the static structural analysis as appropriate. Special focus on boundary conditions, damping values, and other key assumptions based on Wood’s design and field experience. 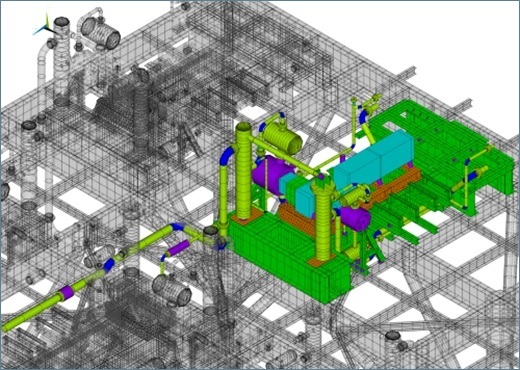 Integrate machinery skid and equipment FEA models to the platform model (see picture below). Accurate modeling of excitation forces, load paths, and mounting options is necessary. Conduct a modal analysis of the combined system. Evaluate high risk areas using Wood’s Strain Energy Density approach, a proprietary technique to speed up the dynamic analysis and improve its accuracy. Conduct a forced response analysis of the structure by including all dynamic forces for the planned operating conditions. Review design options and agree on optimal design, based on close coordination with structural designers, packagers, and owners. 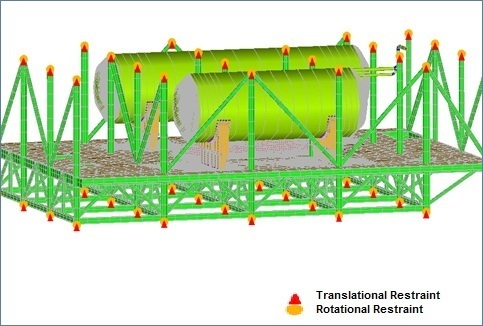 Two examples of machinery model skid and mechanical system integrated in platform dynamic analysis – Integration is a key requirement to ensure accurate vibration and resonance predictions. Early in the design process, Wood will provide input on the deck design, equipment locations and equipment mounting techniques. This avoids rework of design and delays in the project schedule. Wood has proprietary software tools to calculate Strain Energy Density distributions and Machinery Dynamic Loads such as compressor cylinder gas forces, crosshead forces, driver loads and pulsation-induced forces. The evaluation will includes analysis of the equipment package and platform deck. Wood’s forced response study will evaluate the loads for a wide range of operating conditions as well as evaluate the response over the machinery operating speed range. 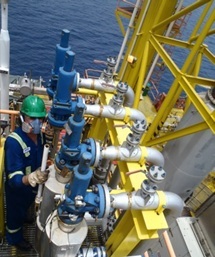 For FPSO applications, the analysis assumes a typical stiffness for the topside structure stabbing point on the ship. The calculation of the ship deck stiffness at each stabbing point can be included as an optional analysis. 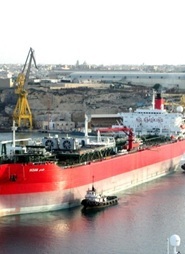 The scope can be expanded to include: strength of the ship deck structure (buckling analysis); and fatigue analysis of the topside structure connection to the ship deck where hull girder bending is the driving fatigue load. Wood has developed proprietary FEA modeling techniques. These approaches have been rigorously field tested and used in hundreds of structural dynamic studies. Recommendations include practical modifications to increase dynamic stiffness of the skid and/or skid support structure. A summary of the applied loads and results is provided in a report (calculated mode shapes, mechanical natural frequencies and vibration amplitudes). Onsite inspection by vibration engineering experts to assess vibration and pulsation measurements on the structure, skid, piping, and machines. Analysis to evaluate the effectiveness of anti-vibration mounts (AVMs), taking into account the dynamic properties of the skid and the deck. Many AVMs designs assume the skid (equipment package) is rigid and the deck supporting the skid to be rigid. This is a simplification that can result in an improper design. We can either recommend the required AVM properties or changes to the skid or the platform to accommodate an AVM selection or determine an optimized design balancing the AVM design and structural design. 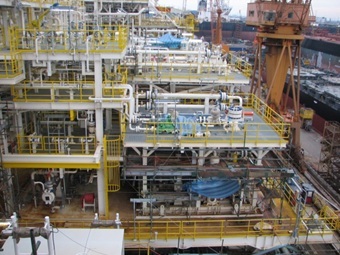 Dynamic structural analysis will avoid resonant conditions and high vibration on the platform, FPSO, or machinery module. Static structural analysis approaches cannot provide these benefits as the static approaches do not include the technical details to evaluate the dynamic response. This analysis is cost effective, and the recommendations are typically cost effective to implement when formulated during the design stage. 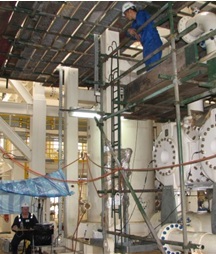 Wood’s integrated solution will address chronic vibration problems, increase reliability, lower project costs, and manage the integrity exposure for seamless asset handover to operations. Based on hundreds of studies, Wood has proven leadership and experience in structural vibration analysis. Experience means faster turnaround and higher reliability operation. Wood's integrated approach includes platform and/or module, skid and machinery characteristics for more accurate results. Few other vibration engineering firms have the complete solution to address piping, machinery, and structural vibration. 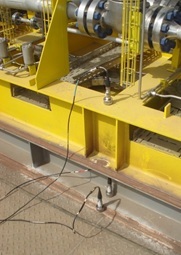 Field experts to conduct vibration assessments and assist in troubleshooting. Field experience drives our practical design approach – and avoids theoretical, untested approaches.